The City of Greenville held an online auction that ended on January 30. Winning bidders are required to dismantle and remove these buildings. 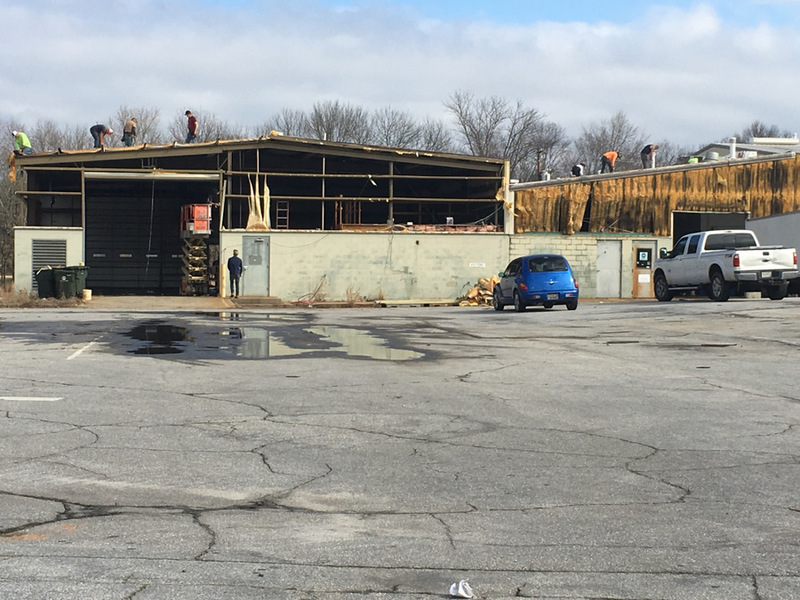 The winning bidders paid a very small amount for these pre-engineered buildings,- it will be interesting to learn where they will be re-erected! Other winning bidders have already removed all the existing chain link fencing from the site. 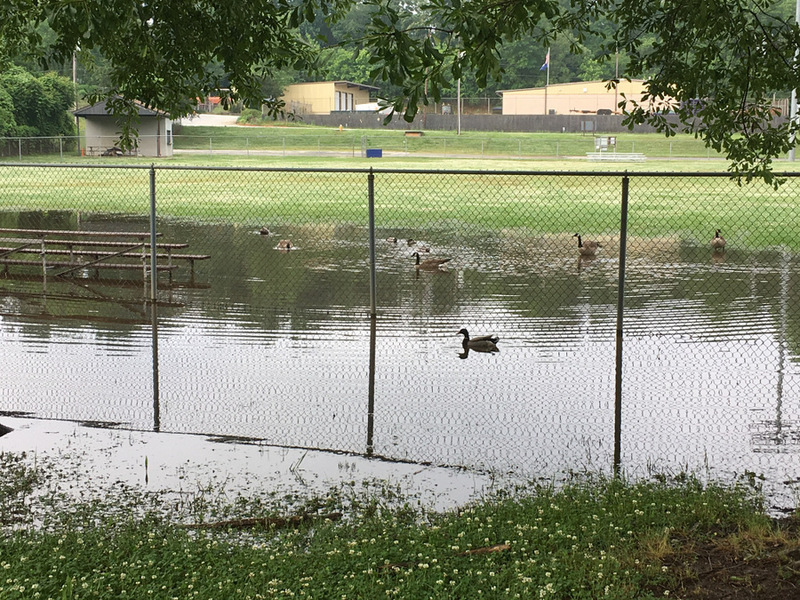 The ducks and geese are making full use of this temporary lake in left field of Mayberry Park. Mayberry Park will eventually be part of the larger Unity Park when it is built. The same rain event that created this lake also rained out the baseball game between the Greenville Drive and Augusta GreenJackets at the bottom of the 2nd inning. The game will be resumed at Fluor Field on Tuesday, May 29th at 4:30 PM.